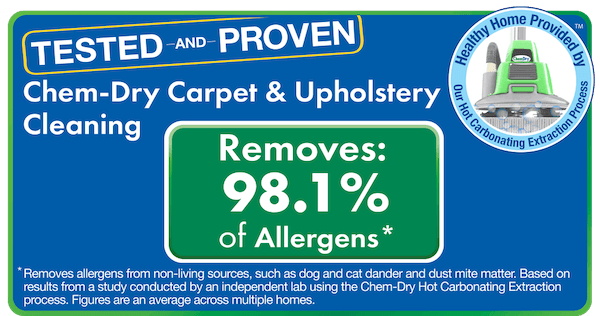 Chem-Dry’s unique approach to carpet cleaning provides you and your family with a better overall cleaning experience. Precision Chem-Dry uses the power of carbonation to extract more dirt and soil from your carpets, giving them a deeper clean. As well, our carbonated cleaning substances only require the use a fraction of the moisture steam cleaners require. This allows your carpets to dry quicker and helps prevent the growth of mold and mildew under your carpet. 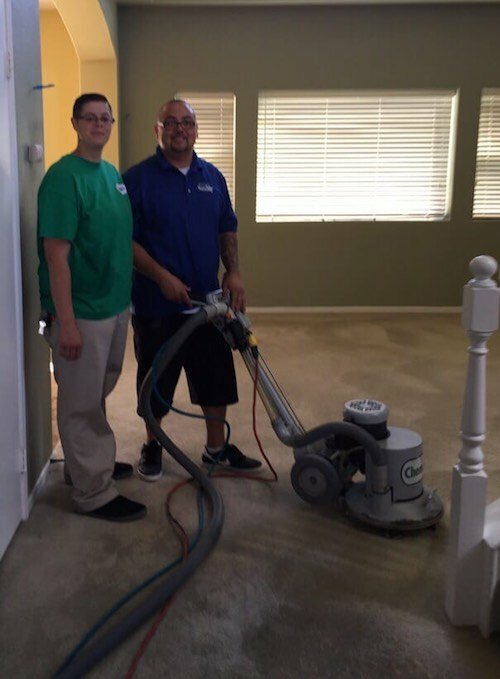 Watch this short video to learn more about our innovative carpet cleaning process. Chem-Dry’s signature cleaning solution, The Natural®, is a cleaning mixture that through the power of carbonation, lifts dirt to the surface where it is easily whisked away. The Natural is non-toxic and ideal for homes with kids and pets, and recently received the Green Certification. Your carpets get a lot of use, dirt and spills are inevitable. Over time, the factory-applied stain resistant becomes less effective and fades away leaving your carpets susceptible to staining. Chem-Dry Protectant is a heavy duty compliment to our carpet cleaner that refreshes the performance of stain resistant carpets, creating a barrier around the carpet fibers to resist soiling and staining by allowing spills to be removed before staining can occur.